There's no need for me to apologize for the musical content of this "WEEKEND MIX." Musically, it's pretty damn awesome. Like, really. I'm just sorry I can't offer up more information. Here's what I could tell you. Soon after "Standing In The Shadows Of Motown" was released, the wonderful film about The Funk Brothers, the musicians behind all of those Motown hits, I became obsessed, as I am wont to do...about everything. I needed more than just the handful of unreleased tracks offered up on the official soundtrack. 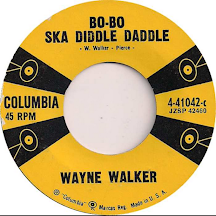 I had read about old vinyl copies of Earl Van Dyke and his band doing instrumental versions of the hits we all grew up dancing in the streets to, but I needed to have them all. 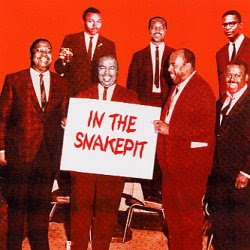 I don't remember how I came across the CD, the "Funk Brothers- In The Snakepit," but I love it. It appeared to be a collection of instrumental backing tracks. But upon further listening, I noticed that some of the tracks are different than the released vocal versions we are familiar with. This can't be an official release, and I can't find any real info on where the "unofficial" compilers got all of this material. It doesn't matter. There is one copy available on Amazon for $150. Or you can UNZIP the file and enjoy these hall of fame musicians doing what they do best. Hey Sal, thanks for saving me $150, i love you!!! You're too much, my friend-- this is great.